Expectations were high in advance of the September unveiling of the latest Apple TV, and now the device is finally getting into consumers' hands. While the new Apple TV brings advancements, its hopes to bring revolutionary change to TV will depend on how media companies, content creators, and operators develop on this and other platforms. 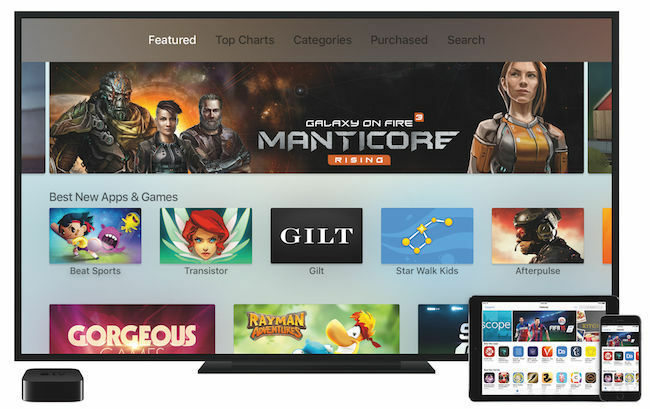 Upon Apple TV’s debut, Apple announced that apps were the future of TV. They demonstrated some overlays and functionality, but stopped short of painting a vivid picture of what a fully app-enabled media experience could really look like. Much like when Apple launched the iPad, they are counting on the industry to deliver the innovation. Most significantly, they gave developers tools to unleash a range of possibilities for Apple TV users. While Apple only showed a small glimpse of what the future of immersive TV app experiences may look like, one can envision a bigger picture when considering what other companies have already done in this area, how consumers have changed the way they enjoy TV, and how app functionality can enhance TV. Apple TV and other platforms have several opportunities to build on a future TV experience. The ability to layer data and interactive elements over linear content can potentially create unique viewing experiences, and has the potential for mass audience adoption. That could take the form of interesting sports stats, such as what Apple showed with MLB at launch. Developers can unlock an even bigger opportunity, such as automatically displaying relevant social data about the content you’re watching, along with the capability to participate via smartphone or tablet. We may also see more options for audiences to vote on players or characters, customize which stats display and when, and making it easy to share short clips via social networks that can help drive tune-in. Apple TV will also provide a gaming platform, with its remote doubling as a controller. Over the past decade, content creators have found creative ways to incorporate gaming elements and functionality into video content, encouraging viewers to use smartphones and tablets to compete against on-screen contestants or with other viewers playing along. Optimizing this functionality for the first screen could make for a more seamless and approachable interactive experience that also lets content creators push the boundaries of content and production. Viewers will already be holding the game controller in their hands, and there wouldn’t be anything to download. A low barrier to entry for consumers and new creative canvas for show producers may help advance gaming that is built into TV content. This could also take the form of a game that is part of a show finale and can be played interactively at any time to build excitement for the next season premiere, to keep people engaged during the off-season. The TV viewing experience has evolved over the past years as consumers incorporated their devices into TV viewing behaviors. Apple TV and other platforms like it will make these experiences even simpler to offer and take part in. We’ll see richer interactivity supported by the smartphones people are already holding. Seamless smartphone and TV integration may ease authentication, enable more personalized content recommendations, enable more apps that are complementary to what’s being watched on TV, and enable more friction-free payments for TV-related commerce. The race is on to best use available data to effectively reach the consumers. At the same time, the industry is eager to enhance how people experience and take action on brand messages. As with other platforms from device makers and MVPDs, there are opportunities on Apple TV for cross-platform targeting. Advertisers can creatively use this information to sync up touchpoints and deliver synchronized ads. Imagine an interactive brand message on TV that can expand to a long form video, followed by a conversion message on mobile video. Plus, with Apple’s more than 500 million billing relationships, there is a direct path to purchase that benefits both consumers and brands. This is just a small sampling of some of the experiences that platforms like Apple TV and others could make more mainstream. Whether they will be popular with users, media companies, and advertisers remains to be seen. The bottom line is that intuitive and interactive platforms can create opportunities to enhance the stickiness of TV provided that it does not distract from linear or on-demand content, and offers good value to both consumers and advertisers. The timing also remains to be seen. After all, it is an enough of an investment to produce engaging content for mass audiences; adding a new layer of interactivity on top of this will require focusing additional investments where there is good ROI and where the cost of creative production and ongoing operations is most efficient. The payoff could come from new business cases that emerge as a result of enhancing the value of live TV tune-in and increasing overall engagement. Apple and others are making the tools available to help evolve the TV experience, which will lead to continued experimentation in how we watch TV. As it stands, the possibilities are endless, but the reception by consumers, media companies, and operators will dictate where TV actually goes next. Ultimately, Apple will find that it is not alone in creating a platform to power this particular evolution. Its competitors are moving fast in the same direction to drive innovation around the TV experience and seamless interactivity with mobile devices. The new device, announced at this week's Apple keynote, has a number of ill-conceived design limitations, a few outright flaws, and a gaping privacy issue.